We want youth to join our WRA Junior Crew! We have an incredible crew of rowers from all across the Wichita area, and there is always room for more. Interested in teamwork, competition, belonging, and success? Check out the WRA Junior rowing program! Have you ever wanted to learn how to row? Well you are invited to experience the joy of rowing with the Wichita Rowing Association! 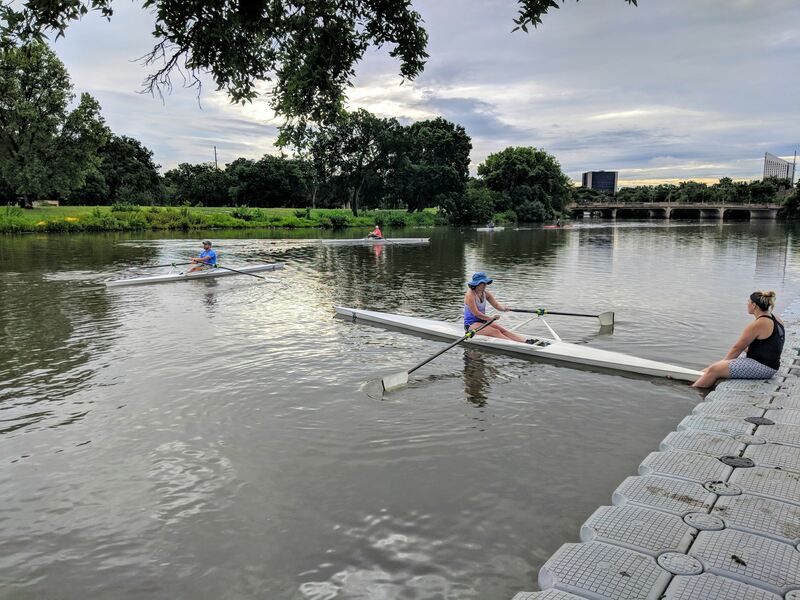 Just a few hours of instruction on the basics of safety, river rules, and rowing technique will get you on the water. Interested in rowing with us? It’s easy to join the WRA and access the club-owned shells and equipment for either recreational or competitive rowing. Members support our continuing educational and charitable purpose of promoting rowing as a lifetime recreational and athletic endeavor for youth and adults in Wichita.